What is Vat Registration Number? Businesses must register for VAT (Value Added Tax) with HMRC, if the VAT taxable income is greater than £83,000. The business receives a VAT registration certificate when they register the business with HMRC. The certificate confirms the VAT number, details for submission on first VAT return and payment, and effective date of registration. The effective date is when the business crossed the threshold and felt that they need to register for VAT. Business can register voluntarily VAT Registration number, if the turnover is less that £83,000, except the lot being sold is exempt. The Business VAT registration certificate can be received within 14 working days, nevertheless it can take longer. 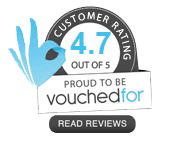 The certificate is sent either to the VAT online account or by post if it's not an online registration or through a third party. 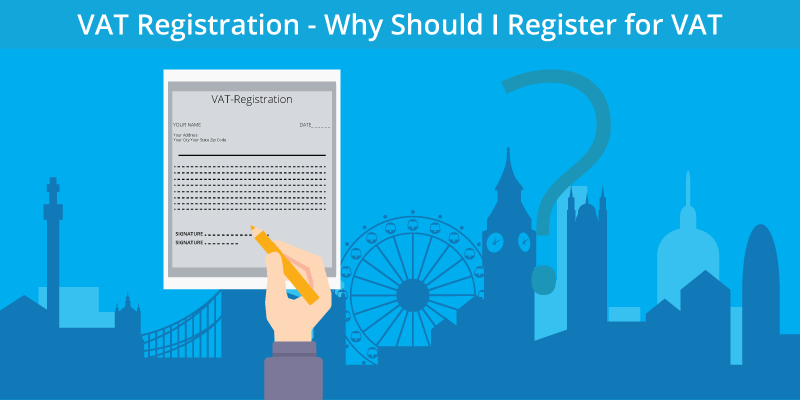 Necessary registration – Why Should I Register For Vat? There is no threshold for businesses based outside the United Kingdom. But the business must immediately register for VAT if they have supplied any goods or services in the United Kingdom or anticipate doing so within the next 30 days. It may also be required to register for VAT if a business has been taken over. If a business does not register for VAT within time, it is liable to pay a penalty depending on how much the business owes and the duration of late registration. As stated earlier, it is imperative for the business to register for VAT within 30 days of the business turnover crossing the threshold. If the taxable turnover of the business goes over the threshold provisionally, the business can apply for a registration exception. A written application needs to be sent to the HMRC with facts showing why the threshold will not be crossed in the next 12 months. If the HMRC is convinced with the written application, they will send a written confirmation else, the business will need to register for Value added tax. Until a business has a VAT number, it cannot charge or illustrate VAT on the invoices. However, the business is liable to pay the Value added tax for this period to HMRC. In such a scenario, the prices of the goods and services will increase and the customers should be informed about the same. Once the VAT number is obtained, the business can re-issue the invoice to the customer reflecting the VAT amount separately. As an industry, farming receives a lot of VAT refunds. The industry's direct purchases are more often than not zero-rated and so are their sales. However, any VAT the industry incurs on extra expenses such as equipments or overheads can be claimed as refunds. Other businesses that may want to register for VAT voluntarily can include a child shoe shop or green grocers. Yet again, sales and direct purchases of these stores are generally zero-rated, however, if any expenses, legal fees or equipment, they ought to recover any VAT charged on these purchases. The VAT taxable turnover is the full value of goods and services sold that aren't exempt for VAT. The UK VAT threshold for registration for the year 2016/17 is £83,000 and for 2017/18 is £85,000 (from 1 April 2017). It is required to register with HMRC for VAT in a 12 month rolling period. VAT Registration Check – How long it takes to get a VAT registration number? Usually, the HMRC takes a month to process the VAT applications, but it can take longer if the HMRC needs to carry out further checks. The government of United Kingdom claims that it can even take as less as 14 working days to process the claim. HMRC intends to process 70% of the applications within 10 business days and most are processed within 30 days. From the time of applying for VAT registration and getting the VAT registration number, the business must keep account of and pay all VAT dues. The business becomes liable to keep records of all the invoices from the time it voluntarily registration for VAT. It actually does not matter when the business applied for registration or the date the VAT registration number was received. Business can reclaim any VAT paid on the purchases from the date of registration. To do so, records of all inwards invoice from the suppliers needs to be maintained. The VAT registration form can be accessed by clicking here. Different items have different implications. Standard 20% The standard value added tax rate is the default tax rate. This rate is charged on almost all goods and services in the United Kingdom, if not acknowledged as being zero-rated or reduced. Reduced 5% Items that fall under this category are children’s care seat, installation of energy-saving materials, sanitary hygiene products, and domestic fuel and power, etc. Zero 0% Items that fall under this category are public transport, books and newspapers, food (not restaurant meals or takeaways), children’s shoes and clothes etc. Exempt Not applicable The law specifies that exempt items are free from VAT charges. Examples include fundraising, providing credit, insurance, education, membership, etc. Taxpayers can call the department for any help regarding common VAT enquiry. Taxpayers must have their VAT registration number and postcode with them. Tax cannot be paid over the phone. 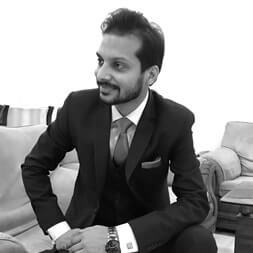 DNS Accountants is UK-based, trusted accountancy firm with over a decade of experience in accounting and taxation domain. Founded back in year 2005, DNS Accountants has been helping small & medium size businesses & startups with self-assessment, VAT registration Services and other VAT related Query. Professional chartered accountants & bookkeeping experts at DNS Accountants bring rich experience and knowledge to help you save more and efficiently manage all sort of accounting & taxation related requirements for your business. Our professionals are committed to provide superior quality customer service to our valuable clients. If you're interested and want to proceed, or want to know more about our offerings, you can book a free consultation with one of our accounting experts & tax advisors.